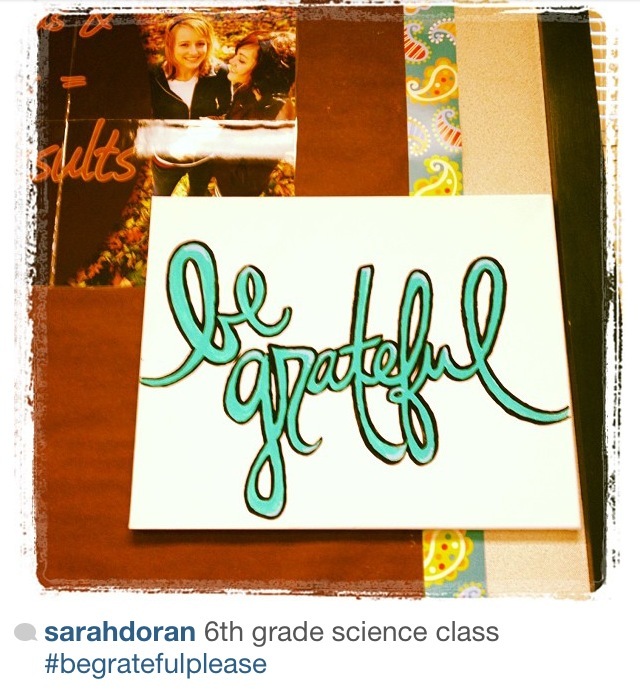 A while back my sister asked me to make a big “be grateful” for her 6th grade math & science classroom. So I bought my go-to paint colors, some paintbrushes and two canvas thingys, and happily created another version of the message. 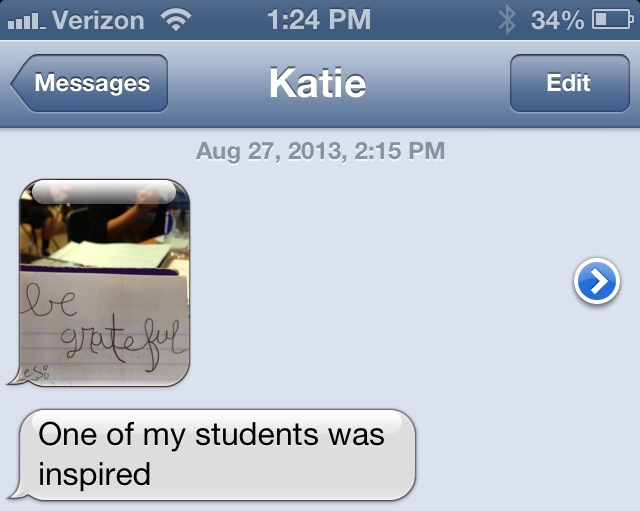 It makes me really happy when anyone takes on this message, but especially happy when it’s someone younger. 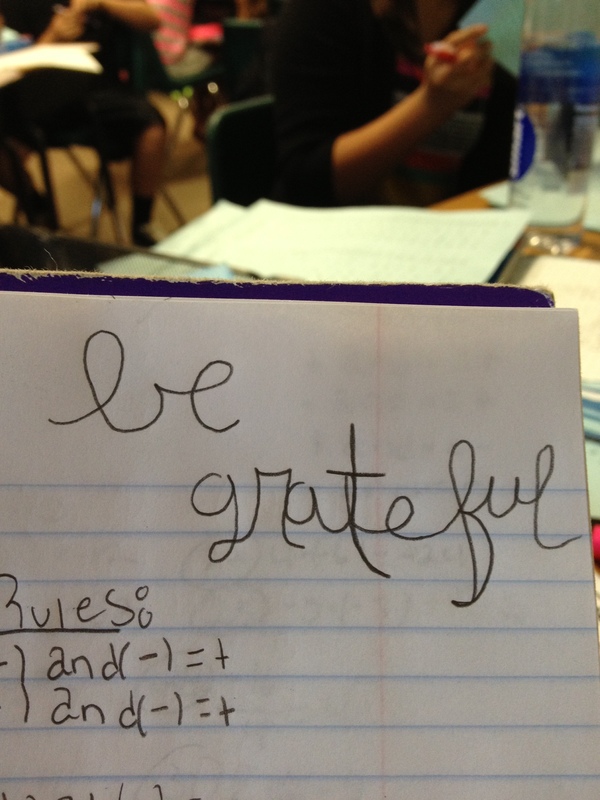 If “be grateful” is the only message that kids hear from me, I won’t have to say another word. -Credit for the title of this post given to the Black Eyed Peas. Some strong, fast, energy force just called that lyric to mind as my cursor sat blinking in the “title” field. Elizabeth Gilbert would call that “energy force” my “elusive creative genius.” And I am grateful for that too.